The first vinyl release from Twelvez Collective and also the debut single of a collective of its own, JESHNO. 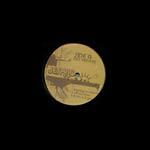 This single features Jwon (Dialectx Crew), DJ Thumbprint (Kids Of Soul), and DJ Norm Rocwell (Dialectx Crew/Kids Of Soul). Thumbprint and Norm Rocwell are also resident DJs on Earthbound Radio (www.twelvez.com) Tru Skool Tuesdays. Pick up this limited piece of vinyl. No more will ever be made. Beats that definitely be thorough! Get doubles!!! !